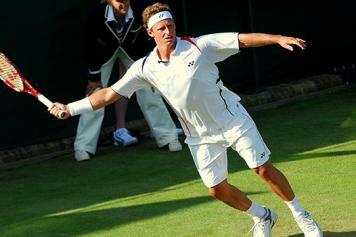 Argentina’s 2002 Wimbledon finalist David Nalbandian announced on Tuesday that he will quit tennis next month citing physical problems that have sidelined him for most of the year. The defeat in the Euro 2016 qualifier against Albania has deep-rooted causes for the Armenian national soccer team, Menua Mehrabyan, a soccer commentator, told ArmeniaNow. Top Armenian grandmaster Levon Aronian lost his Round 2 match against Ukrainian Alexander Areshchenko on a tiebreak on Wednesday to drop out of the Chess World Cup held in Baku, Azerbaijan. Armenia’s caretaker manager Sargis Hovsepyan thanked his team for their “full commitment” after a goalless draw in a Euro-2016 qualifier against Denmark in Yerevan Monday night.